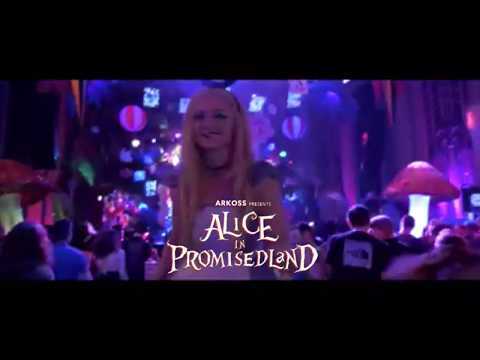 We have asked Alice to join us at Promised Land with all her friends to bring a full-on stage Alice in Promised Land theme, crazy production, live performers, Trapeze acts, and so much more, for this mind-blowing party!! We are so excited to be back at KOKO aka Camden Palace after 10 years this venue is close to our hearts, a place that holds so many fond memories & unforgettable times for so many of us. As most of you know Promised Land, has always been about the music, the people, and the vibe. In Promised Land, all House music is welcome from the past to present playing the kind of music that brings a vibe that's positively high. And for this event, we wanted to add a little twist something unique & outstanding that you all deserve. Make sure you book your tickets early for this event & be part of the start of something extraordinary!!! Can’t wait to bring in a new era, a new concept & music together in the PALACE OF LOVE. LIMITED VIP TICKETS NOW AVAILABLE: Fast track entry and use of the exclusive Directors Box with own bar, toilets facilities and stunning views of the stage & dance floor in the main room plus use of the Royal Box which is directly opposite the director's box from across the dance floor. DRESS CODE: FANCY DRESS VERY WELCOME, BUT NOT ESSENTIAL / NO CAPS / NO SPORTS TOPS / NO TRACKSUITS - SMART TRAINERS ARE OK, PLEASE MAKE AN EFFORT.